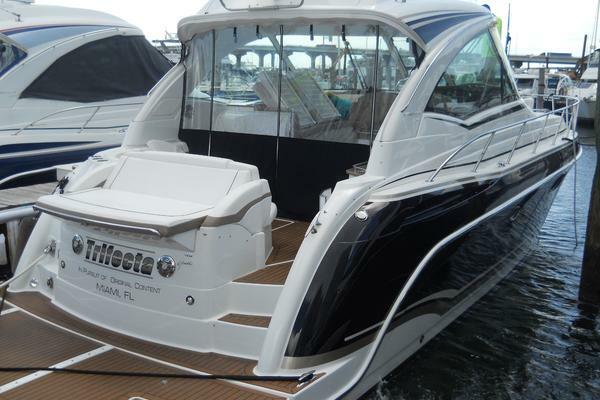 This 2009 Marquis 500 Sport Bridge has been enjoyed in the fresh waters of Lake Erie. Fit with IPS and joystick controls, all the electronics and a few extra bells and whistles, this Marquis 500 Sport Bridge is the sedan to buy. The 500 Sport Bridge is a performance yacht operated from either the flybridge or the fully equipped salon helm station. Power is supplied by three Volvo Penta diesel engines coupled to IPS rotating pod drives - the most innovative and efficient engine / drive system available. The result is superb slow speed torque; thrilling top-end speed and exceptional joy stick controlled slow speed maneuverability. And, while powerful - this engine and drive combination is quieter and more efficient than traditional shaft driven propulsion systems. The features incorporated into this yacht reflect forward thinking from the Nuvolari-Lenard design team. The low profile sport bridge is for people who love fresh sea air and warm sunshine. There is no shortage of lounge space. 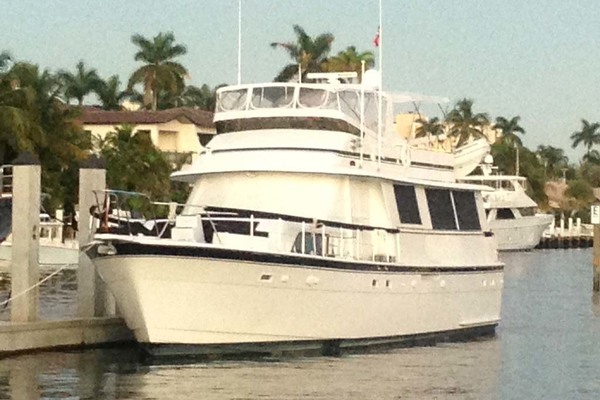 Choose the privacy of the triple-wide foredeck lounge or the contoured bridge lounge or the spacious sun pad aft of the bridge.With the opening of the aft bulkhead doors, galley, salon, cockpit and swim platform are integrated into a single level social area. For additional cockpit space the transom is moved aft with a simple touch of a button. Awe inspiring interior appointments include yacht finish woodwork custom crafted from a number of exotic hardwoods.